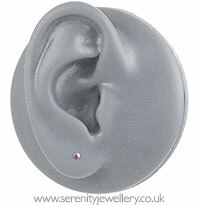 Hypoallergenic niobium 2mm disk stud earrings with titanium butterfly backs. Please note: Natural niobium is darker than silver. Niobium looks very similar to titanium but is an element rather than an alloy (a mix of metals), it is ideal if you are allergic to nickel, silver or gold. 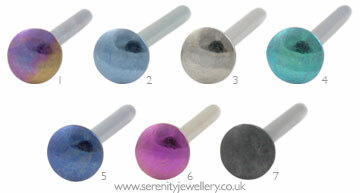 Like titanium it can be anodised, changing the surface colour of the metal to create a range of colours. Niobium used in a jewellery has to be as pure as possible and is sometimes know as 999 Niobium or 99.9% niobium.